Mid City Scrap Iron & Salvage Co., Inc has been providing scrap metal purchasing, container service, and trucking in Massachusetts since 1951. 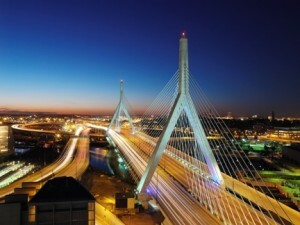 With decades of experience we appreciate the challenges and logistics required to operate in the busy metro area of Boston. Traffic, safety protocols, competitive pricing, and even specialized equipment are part of our daily routine. Mid City Scrap has dedicated purchasing resources in the Boston area. We have the ability to collect , remove, and purchase your scrap metal at competitive rates. We maintain our fleet of tractors, outdoor roll-offs, indoor containers, trailers, and specialized equipment to provide the solutions our customers need. Mid City Scrap specializes in providing scrap metal purchasing services tailored to the manufacturing, construction, and demolition industries. Please allow us the opportunity to visit you and discuss our current solutions and rates for purchasing your scrap metal. To schedule a visit or for more information please contact us or call (774)319-5421.